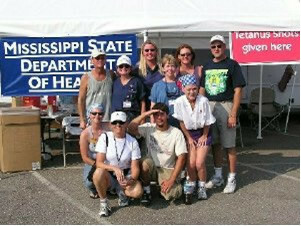 One week after hurricane Katrina hit Louisiana, Mississippi and Alabama, 7 nurses, 2 drivers and an acupuncturist hit the road in 2 RV’s and drove to Mississippi to help. We stayed 2 weeks living in a parking lot in the RV. 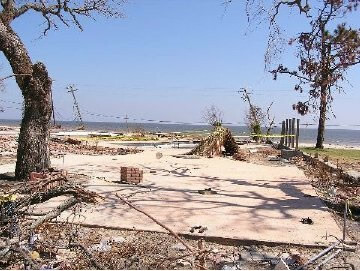 We helped with simple needs as well as providing medical care. The nurses gave 500 tetanus and HepA shots per day. I provided acupuncture and anything else I could do to help. It was a life changing experience for all. We lived in two rv's with five people in each one in theparking lot of a KMart. Before we arrived, the wave surge had been 32 feet. 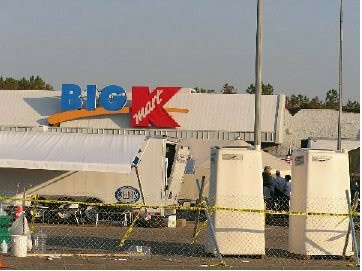 They had removed 10 bodies from the Kmart rooftop before we arrived. It looked like this for 100 miles along the coastline.